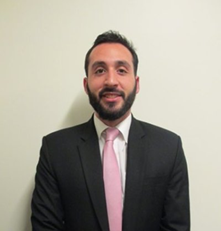 Aaron Iovine is a rising third year law student at the Benjamin N. Cardozo School of Law in New York. Aaron plans on using his degree in the field of public policy and advocacy. Over the past several years he has interned with organizations focusing primarily on financial services policy. At school Aaron is a member of the Alternative Dispute Resolution Honor Society and has an interest in International Arbitration. He loves to travel and plans on spending his fall semester studying in Hong Kong.